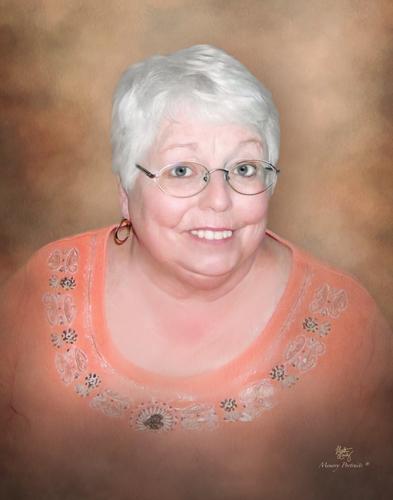 Linda S. Culver, age 75, of Evansville, IN, passed away at 9:44 a.m. on Sunday, April 14, 2019, at Deaconess Gateway Hospital. Linda was born October, 29, 1943, in Evansville, IN, to Hilbert and Mary (Harris) Olberding. She was a graduate of Memorial High School. Linda was an active member of The Salvation Army of Evansville. She was employed for 30 years at University of Southern Indiana in the Cashier’s Office and was a member of Women’s Traffic Club. Linda is survived by her daughters, Jennifer Garverick (Jon) of Newburgh, IN and Amy Culver of Evansville, IN; grandchildren, Jacob (Sara), Jordan (Audra) and Jillian (Sam) Garverick and Hannah and Olivia Culver; and great grandchildren, Dayne, Cora, Adalyn and Nalina. Linda also enjoyed spending time with her 3 best friends, Bonnie Clark, Darlene Montgomery, and Annette Lindsey. She is preceded in death by her parents; beloved husband, Derriel Culver who passed away in 2011; and sisters, Sharon Diehl, Junie Carter, and Janice Walker. Memorial Services will be held at 6:00 p.m., Wednesday, April 17, 2019 at Boone Funeral Home East Chapel – A Family Tradition Funeral Home, 5330 Washington Avenue with Major Mark Turner officiating. Burial will be private. Friends may visit from 4:00 p.m. until time of service, Wednesday, April 17, 2019 at BOONE FUNERAL HOME EAST CHAPEL. Memorial Contributions may be made to: The Salvation Army of Evansville at 1040 N. Fulton Avenue, Evansville, IN 47710.